Sugary, cinnamony, crunchy, and yummy! What trip to Disneyland would be complete without chomping down on a churro. Now combine that sweet treat with a wedding cake - you had me at hello! If you tuned in to our Disney's Fairy Tale Weddings TV Show on Freeform last week, you might have seen this incredible concoction during Ruby and Eric's cake tasting for their Disneyland wedding. 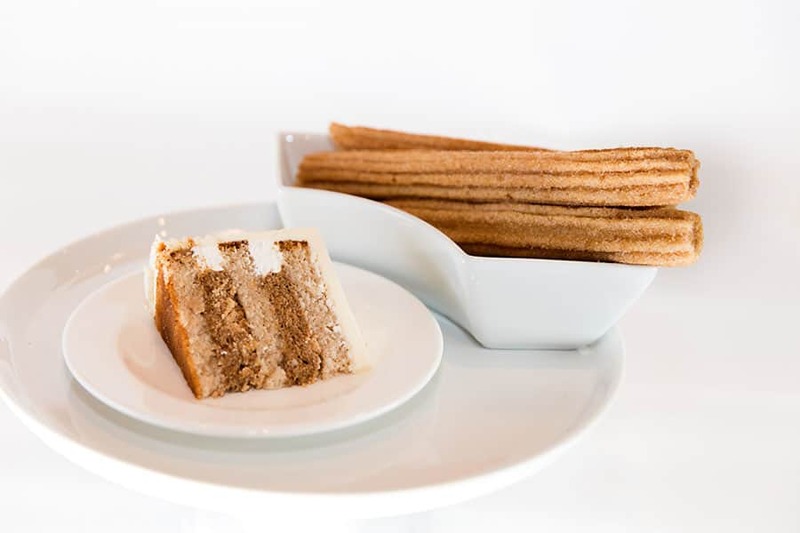 The churro cake was actually invented by the Disneyland chef featured in the show - Nubia! 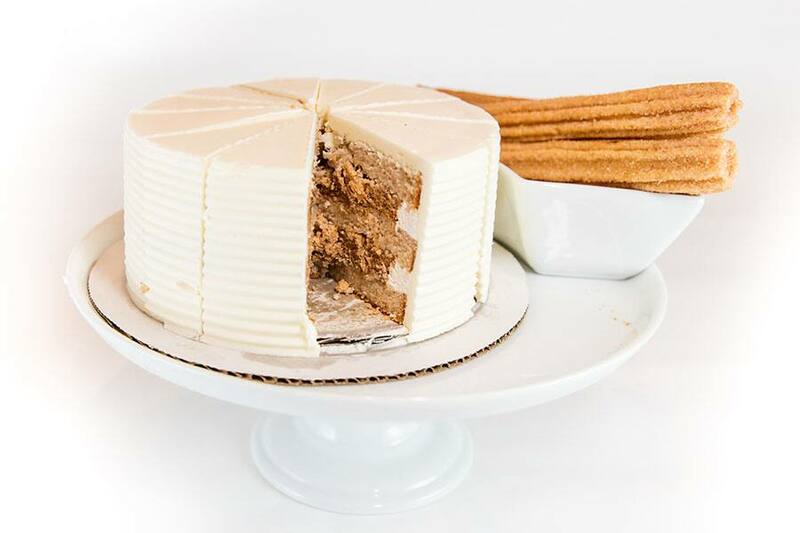 A bride requested a "classic Disneyland treat" flavor for her wedding and thus, the churro cake was born. 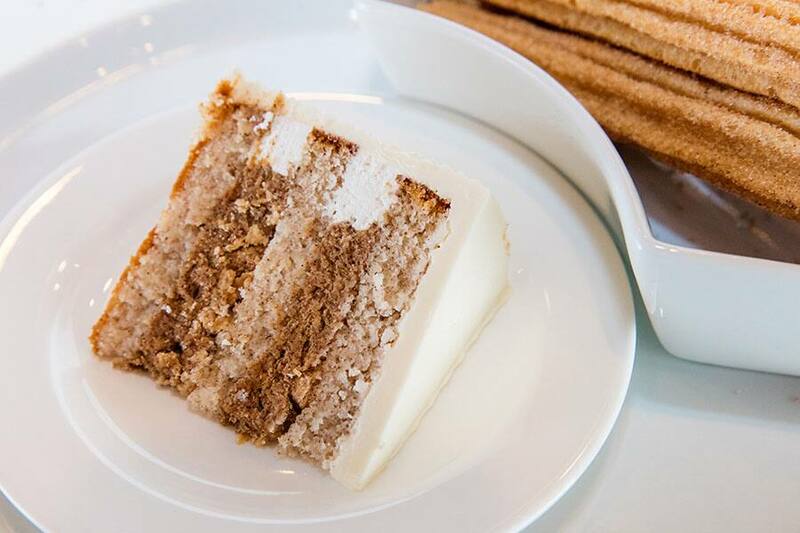 It is a cinnamon sponge cake with chunky churro filling and a buttercream frosting. The perfect nostalgic and delicious dessert for your big day. At this time, this cake is only available at Disneyland.